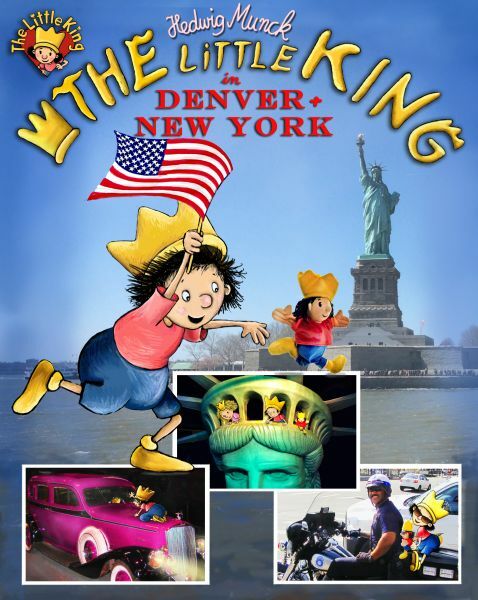 The little King travels to the U.S. to find his cousin, the litte Princess. But the little Princess´ note wasn´t very clear. Where is she? He searches all across Colorado with lots of adventures and plenty excitement - constantly keeping an eye on his plush companion Crowny. See whats happen in Denver and New York. Also in a german version: "Der kleine König in Amerika". Hedwig Munck is a filmmaker from Berlin. Together with her husband she developed the popular character "The little King" for the german television. Translation and some Photos were contributed by Lene Munck, Denver.